Home › Forums › PUBLIC DISCUSSION BOARD › CORDYCEPS ? This topic contains 0 replies, has 1 voice, and was last updated by Jill 7 months, 1 week ago. Found this beetle infected with a Coryceps species – but which? 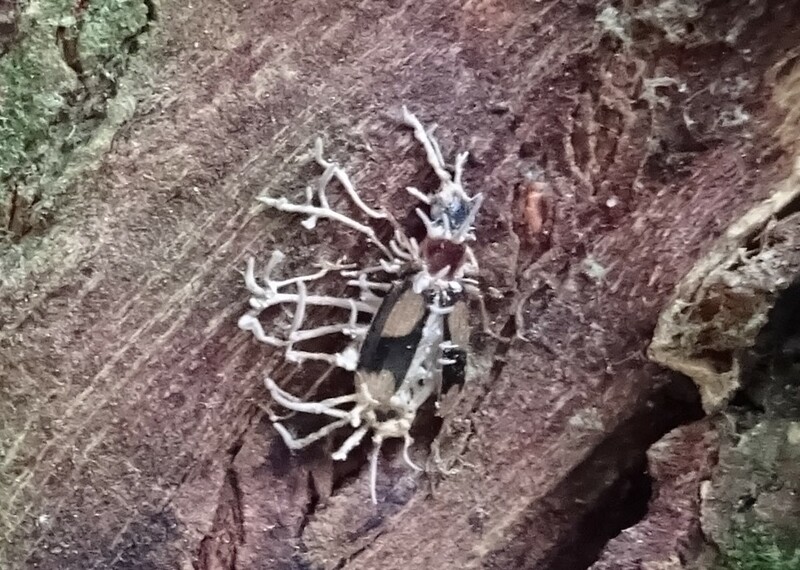 The beetle is a tree bark species – dromius quadrimaculatus and now a ‘zombie’.